Natural aristocracy? Birds, noble and highborn, are naturally at the top. And as for your peerless peepers, they'll have plenty of room to spread their wings as lords and ladies of this magnificent manse. Palatial in proportion at 39" in height, Westminster is a lofty addition for your personal estate. 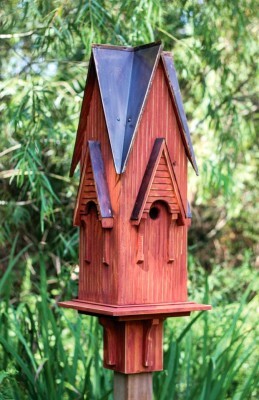 Ancestral elegance, heirloom quality: A royal welcome for your birds.